Wonderful concept! Thanks for sharing the video. I think I'll try an interaction story. You don't have to have special effects to have a special affect. Brilliant! That's such a fun idea. Nate, this is a super-fun idea! It's all the interactivity of a video game, without all the development costs, and mind-melting, flashing lights. Also, it's a great idea for a bedtime book, because kids will pass out from oxygen deprivation to the brain. Yeah, Jed. The big finale will have them take twenty deep breaths then stand up and hold their breath. That's a joke. Don't try that, if you're like me, you will pass out. I had a fourth grade teacher show the class that trick--I'm not kidding, he lead the class in trying it. He said, "Here's how to make yourself faint--but make sure not to really hold your breath at the end. Okay, everyone take a deep breath..." I woke up staring at the ceiling. I feel light headed even thinking about that! Anywho, this sounds like a great storytime book. Lots of participation=fun storytime. 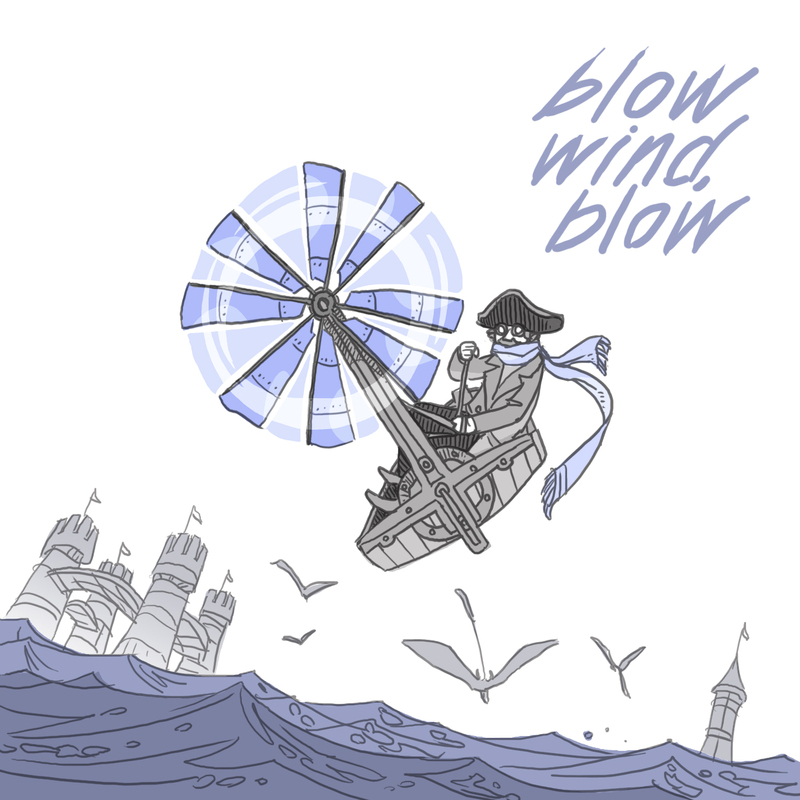 I know a lot of people who would buy Blow Wind, Blow. I hope the publishers are smart enough to pick this one up. Just hopped on over from your comment on Betsy's blog. Somehow I hadn't connected the "Percy the Dragon" guy to the "Rapunzel's Revenge" guy! I seriously admire your blogging stamina -- not to mention your skill. Good luck as you round third base on the marathon! Great idea! I love an interactive book. Kid's have such amazing imaginations, and never question the idea that they could be interacting with a book like that. I think this would be a very fun book for them to work through.